Last updated on December 25 2016. "An instance with automatic backups enabled will have a 20% higher base monthly/hourly fee." The Vultr admin UI was recently upgraded, it feels modern and efficient, is easy to use and has plenty of features. Block $0.100 Each volume is replicated 3 times across a highly available cluster. Backups $0.050 Prices vary depending on instance size Actual price is 20% of the instance. 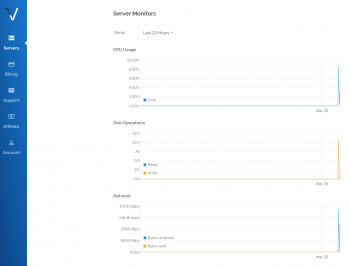 The Screener shows all Vultr plans side by side with their grades in 5 categories. 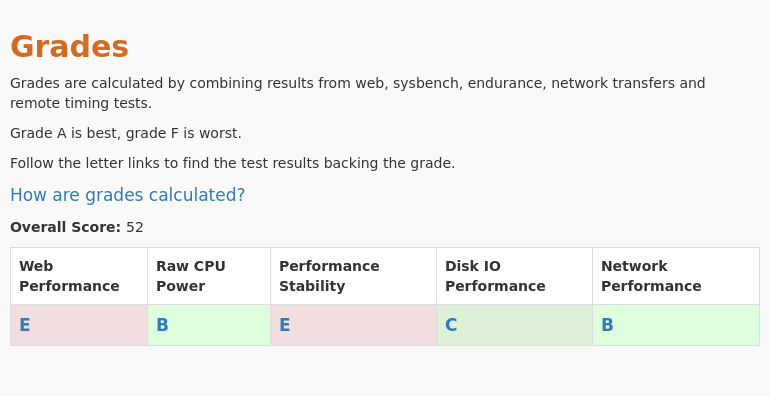 We conducted 5 different types of tests for Vultr - VC2 1GB $5. Review the results and compare this plan to its competitors. This plan was tested 4 times at vpsbenchmarks.com. The table below shows all trials run on the VC2 1GB $5 plan and the web response times for every one of those. 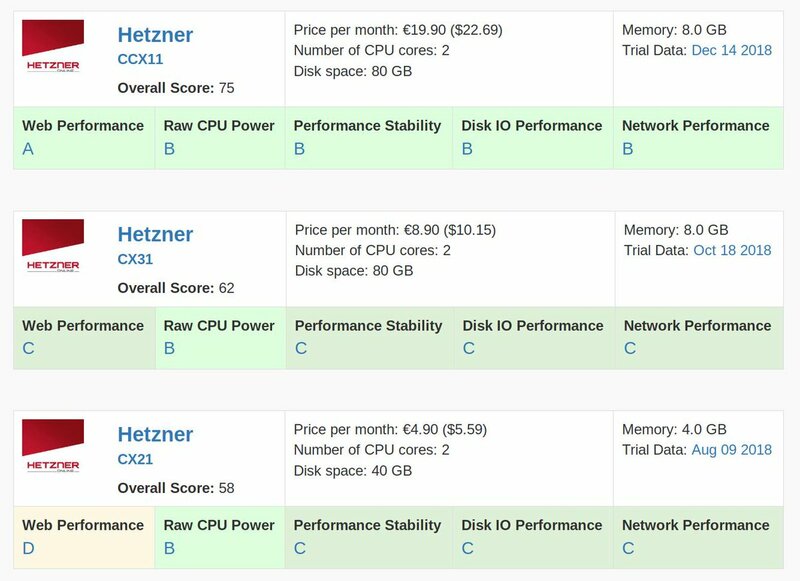 We conducted 5 different types of tests for Vultr - VC2 2GB $10. Review the results and compare this plan to its competitors. This plan was tested 4 times at vpsbenchmarks.com. The table below shows all trials run on the VC2 2GB $10 plan and the web response times for every one of those. 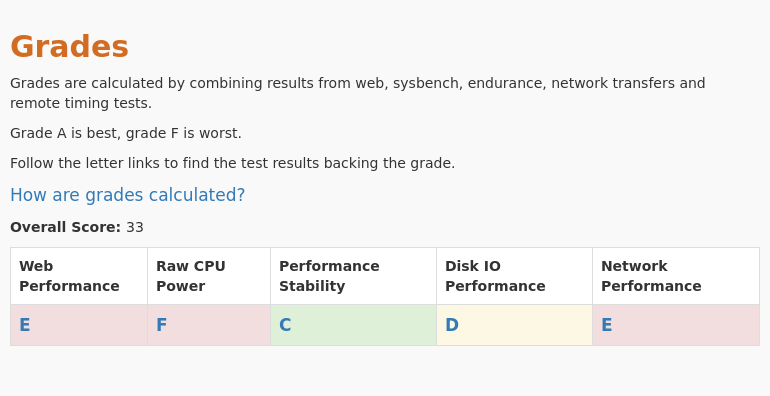 We conducted 5 different types of tests for Vultr - VC2 4GB $20. Review the results and compare this plan to its competitors. This plan was tested 3 times at vpsbenchmarks.com. The table below shows all trials run on the VC2 4GB $20 plan and the web response times for every one of those. 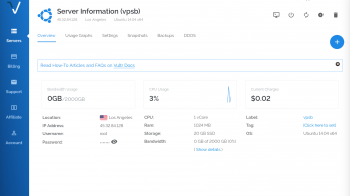 We conducted 5 different types of tests for Vultr - VC2 8GB $40. Review the results and compare this plan to its competitors. This plan was tested 1 times at vpsbenchmarks.com. The table below shows all trials run on the VC2 8GB $40 plan and the web response times for every one of those.